I’ve gotten a good amount of feedback and questions about my makeup artist background and kit. Therefore, I thought that I would do a series of posts related to my makeup kit and other MUA information. I posted my video about pursuing my passion for makeup artistry and some people have assumed that I just started doing makeup. This isn’t the case, I’ve been doing makeup for over 7 years (although I have never had professional training and I am self taught). I also have never taken makeup artistry seriously as a business. I didn’t have an extensive kit, I didn’t have a budget, I didn’t have a portfolio or marketing material. Usually I would only do makeup for referrals or people I knew personally who would ask me to do it for them. Now, I’ve decided to actually pursue this as a business and possible career. I already have a degree in Economics, I just recently received my German business license, I am working on my portfolio and I have my budgeting plan all set. So see, that is what I mean by taking it seriously! Now on to the fun stuff, what’s in my kit! 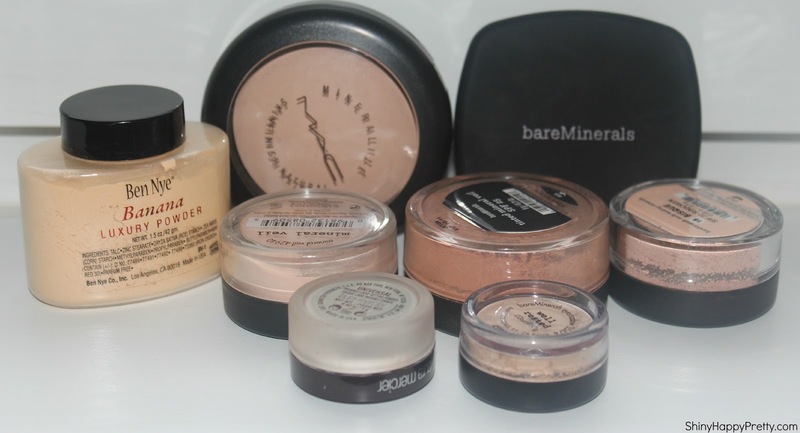 I use these mainly to set concealer under the eye and anywhere I put concealer to highlight . I also use it to go underneath contour to emphasize the contour and sometimes as a setting powder on super oily clients. This is my go to setting powder over foundation. I love the way it sits on the skin, I love the glow it gives. I also like to use it as a foundation, by itself, by using it with a slightly damp brush for a natural look. I use this to set foundation when I want to set very lightly and want the skin to look like there is no foundation on it. I also use this on my sensitive skin clients and as an alternative to MAC because some people prefer other brands. I use this to set undereye concealer on my really fair clients that don’t need much concealer and don’t need a heavy setting powder. This can also be used alone as a concealer but I never do that. I use this to set undereye concealer on my really fair clients that need very little concealer but have more yellow undertones. This can also be used alone as a concealer but I never do that. I use this to set foundation on my really fair clients who don’t like a lot of makeup on their skin. I generally like to carry a variety of products and brands so that I can have options and it also helps when someone may have had an allergic reaction to a certain product because then I have alternatives! I know I should probably condense my kit but for now, I like having options as I haven’t learned every tip and trick yet! Let me know if you guys have any questions! Also, I’m an eternal student so let me know if you have any feedback and/or suggestion as I love to hear new ideas on things.